November 30, 2009 (CHICAGO) Santana Cruz, 33, and Esteban Rosario, 34, were arrested after being stopped in the 5100-block of South Campbell Avenue in Chicago where investigators say they spotted the vehicle the men were in continuously driving in a nearby alley. Investigators say they stopped the vehicle to question the men and recovered a handgun that had been reported stolen earlier this year. Cruz faces charges of aggravated unlawful use of a concealed weapon, having no firearm owner's identification card and theft of mislaid property. Rosario is charged with unlawful use of a weapon, carry/possession of a firearm, having no firearm owner's identification card and theft of mislaid property. Neither man was charged with kidnapping. Investigators say Alejandra Rubio, 21, was last seen Tuesday as she was leaving her place of employment near State and Jackson in downtown Chicago. 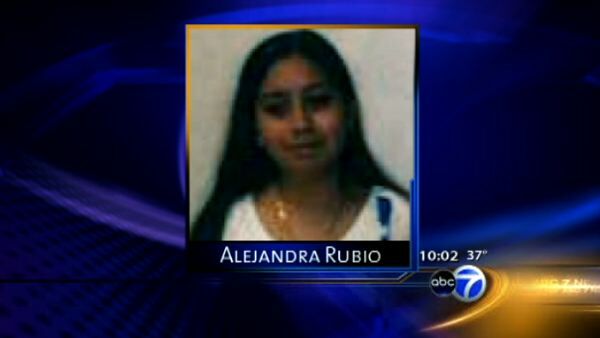 Police say Rubio's family later received phone calls demanding a ransom in exchange for her safe return. Police say the two men arrested tried to recover the ransom. Police say Rubio was found on the South Side and is safe. Detectives are investigating.